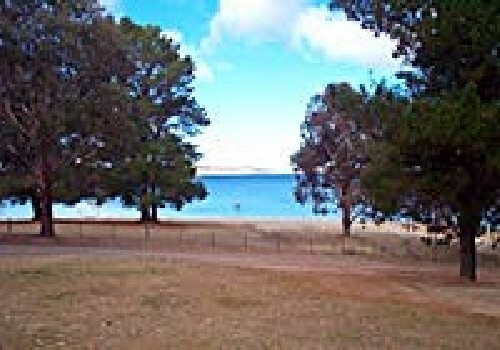 Situated on the shores of beautiful Lake Eucumbene at historic Old Adaminaby. A mecca for trout fi shing year round. Summer brings abundant fl ora and fauna, visiting historical sites, national parks, water sports, horse riding in the high country or simply enjoying the mountain air. Winter brings the snow. Nearby Mount Selwyn offers a full range of snow sports. Weekly rates off peak. 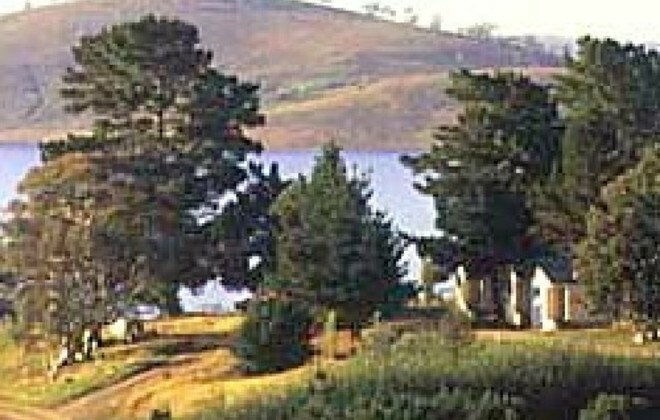 Rainbow Pines Tourist Park, situated right on the shores of Lake Eucumbene, gives the keen trout fisherman an ideal opportunity to land the big one. With brown and rainbow trout available up to 6 kg, you can't miss a good catch, whether fly fishing from the shore or out on Rainbow Pines hire boat. Further afield, the Murrumbidgee and Eucambene Rivers, Tantangara Dam and Three Mile Dam, and numerous mountain streams are ready to explore for the anglers delight. 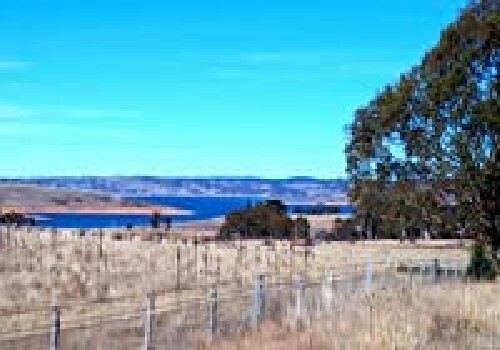 The town of Adaminaby, home of "The Largest Trout in the World", was relocated to accommodate the introduction of the Snowy Mountains Hydro-electric Scheme. Many of the original buildings were transported by truck to their new location. 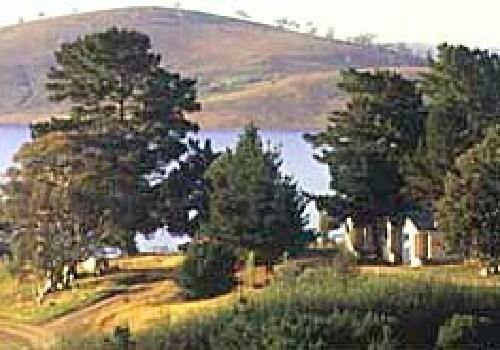 Rainbow Pines Tourist Park at Old Adaminaby retains on its grounds the original schoolhouse (now the office and shop) and church built circa 1896. Adaminaby is an ideal base from which to explore the nearby Kosciuszko National Park and indulge in the great variety of tourism activities of the high mountains of NSW in all seasons. The annual Trout Festival fishing competition is held in November. A race meeting is held each February. For filmgoers and horse racing enthusiasts, it is interesting to note that the Old Adaminaby Race Track (located on the road to Rosedale on the Cooma side of the town) was used in the film Phar Lap. The Snowy Mountains (part of the Great Dividing Range) contains Australia's highest mountain - 2228 metre Mount Kosciuszko, all of the NSW snowfields (with some of the best ski resorts in the country), Kosciuszko National Park, and the Snowy Mountains Hydro-electric scheme. All year round, the Snowy Mountains provides a rich variety of activities for the whole family. There is abseiling, alpine railways, berry picking, bushwalking, camping, canoeing, chairlift rides, fishing, golfing, horse riding, lake cruising, llama farms, mountain biking, sailing, swimming, tennis, thermal pools, white water rafting, agricultural displays, alpine flowers, art galleries, mountain muster, museums, rainforests, trout farming and underground caves. Mid June to early September brings the snow season with world class snowfields providing your winter entertainment with snow skiing, snow boarding and general snow playing. By clicking "Submit" you certify that this review is based on your own experience and is your genuine opinion of "Rainbow Pines Tourist Caravan Park" and that you have no personal or business relationship with "Rainbow Pines Tourist Caravan Park" and have not been offered any incentive or payment originating from "Rainbow Pines Tourist Caravan Park" to write this review.